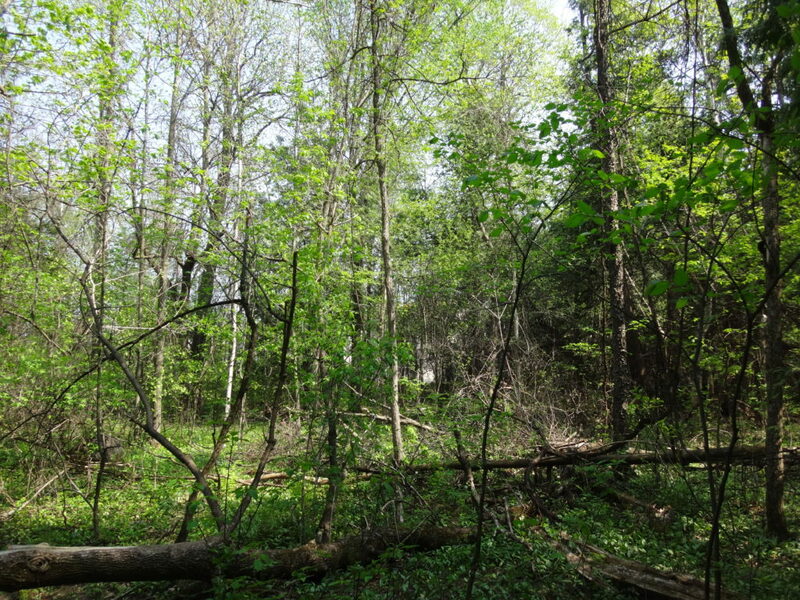 When I visit the woodlots of South Nepean, I think of my years growing up in Esquimalt, Victoria, British Columbia. I didn’t know, living in Esquimalt, that I was privileged to have one of Canada’s most endangered ecosystems in my backyard. Highrock Park, or the “Cairn” as we knew it, was simply the place where we played after homework on a school night or rode our bikes on the weekend. 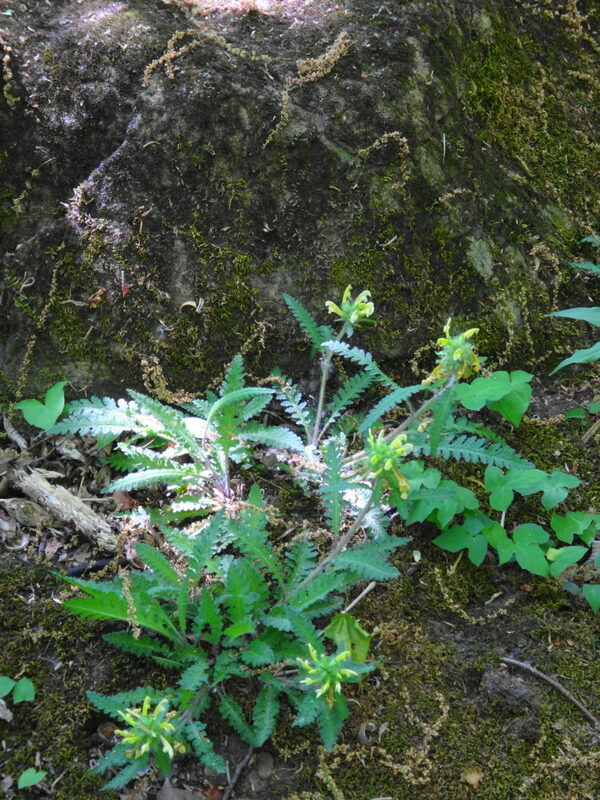 It rose above my neighborhood: a rock bald, surrounded by a skirt of open woodland. I didn’t know about Garry oak parkland and savannah. No-one told me that I couldn’t play in the Cairn because it was special, or because I might damage myself. Sure, I came back with skinned knees and bee stings. And on warm summer evenings, when the local teens would sometimes gather in the twilight under the trees to consume beer or other elicit substances, my parents didn’t forbid me the adventure of the dark. 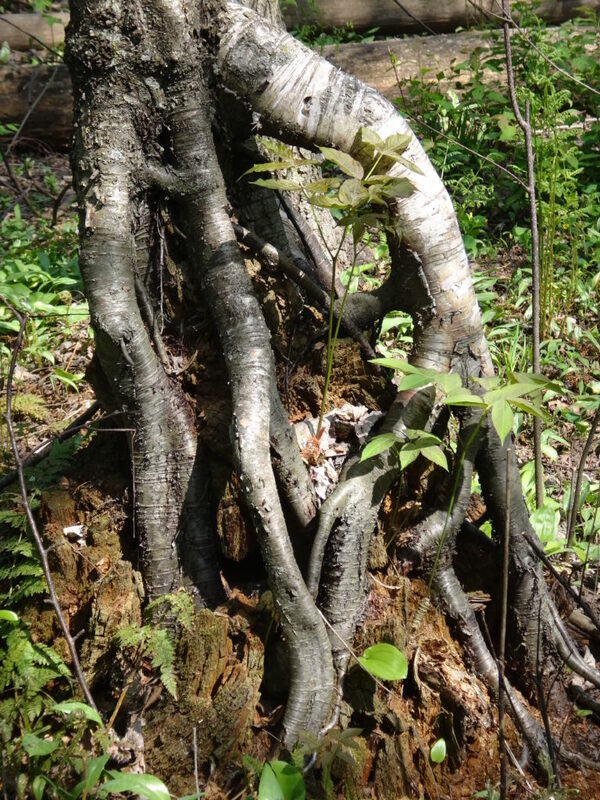 We climbed the twisted oak trees and played hide-and-seek in the thickets. I think that I first learned my love of rock on the Cairn. I couldn’t identify the hill as an exposed “pluton” of granite — a lump of igneous rock formed far down in the earth’s mantle 400 million years ago. I didn’t know that the cataclysmic formation of western North America had thrust it to the surface. I traced the long, parallel grooves on the smoothed rock without knowing about the pebbles that had gouged them under the weight of two kilometres of glacial ice. I just loved the feeling of the hard stone under my hand, as I scrambled over the flanks of the hill or sat with my legs pulled up to my chest, looking out over my home. 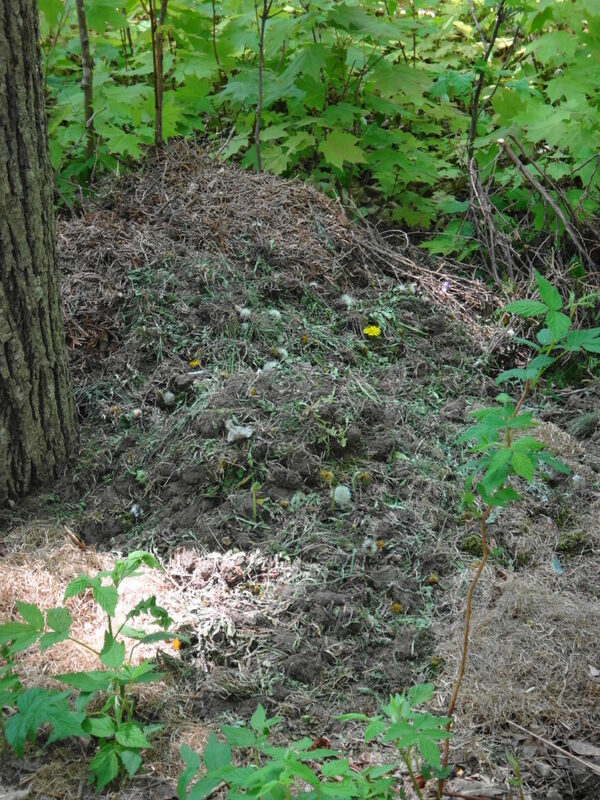 Perhaps that’s why tree-forts and home-made mountain bike tracks usually don’t trouble me, even when I find them in some of Ottawa’s protected natural areas. 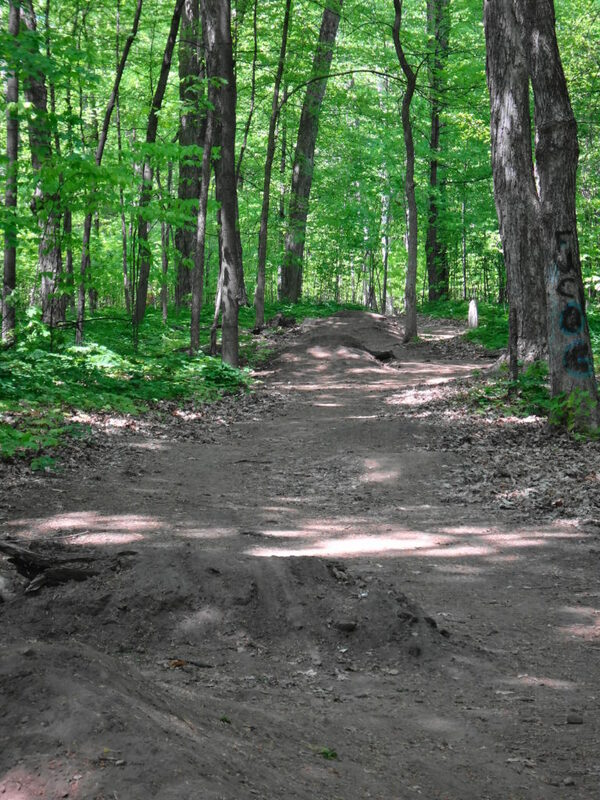 When I see bike trails, jumps and obstacles worn and carved into a place like the Chapman Mills East forest, I think of how much I would have enjoyed them as a kid. Most people driving past on Strandheard Road and Prince of Wales Drive likely give little more than a glance to the three adjacent patches of forest. Few of them would suspect that these emerald gems contain some of Ottawa’s largest trees: maples, beeches and oaks that rise like the pillars of a cathedral. 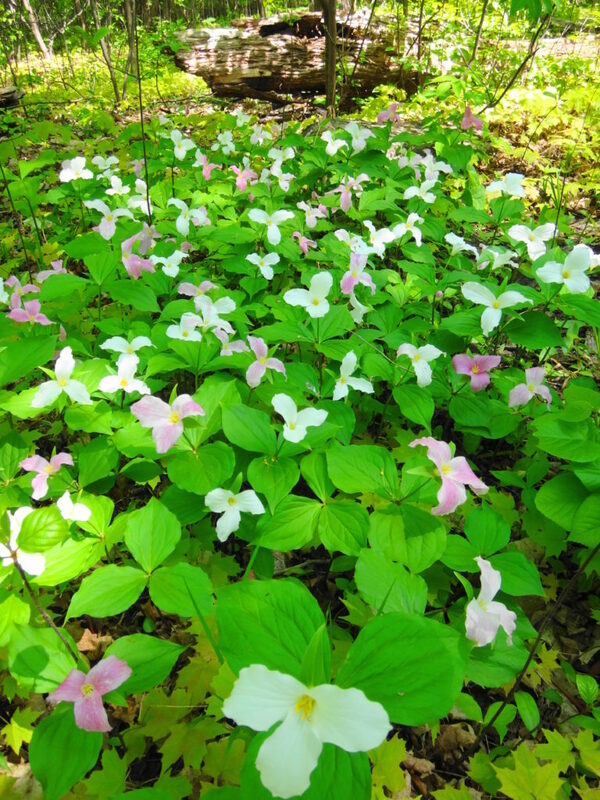 Under their boughs, a profusion of wildflowers bursts forth in spring: trilliums, trout lilies, false solomon’s seal, violets, jack-in-the-pulpit. Vireos sing high overhead. With their windows rolled up and air conditioners running, few of the passing drivers will ever feel the coolness of the woods, or hear the susurration of the leaves as a breeze passes through the canopy. The neighbours, I suspect, would prefer to keep it that way. Walking through Chapman Mills East on a warm, weekday afternoon, I marvel at the lack of traffic. I pass a few dogs and their owners sauntering the trails. The occasional runner pads past me. Most of the time, though, I have the woods to myself. Apart from the distant sounds of traffic, I might be alone in the world. Hopefully the evenings and weekends see more visitors. 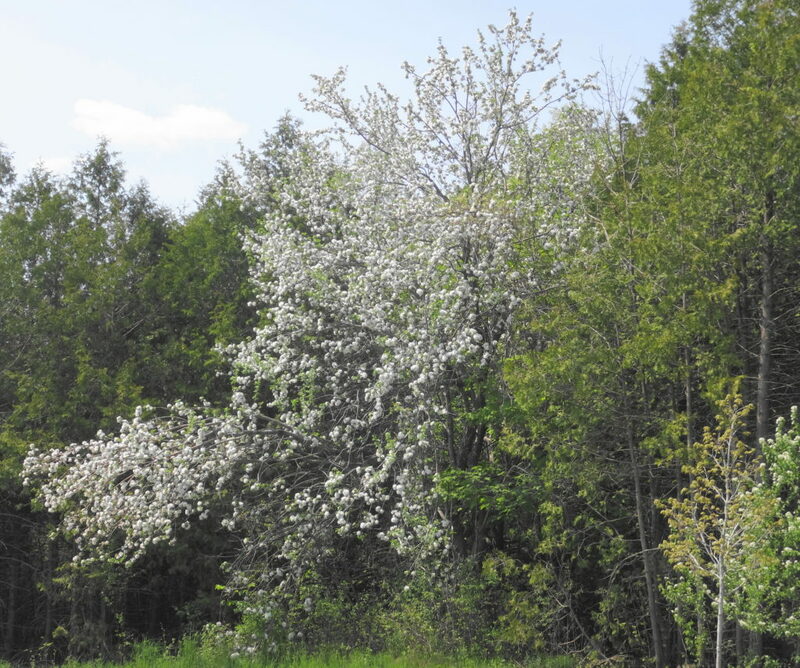 Each of the South Nepean woodlots has its own charms and attractions. 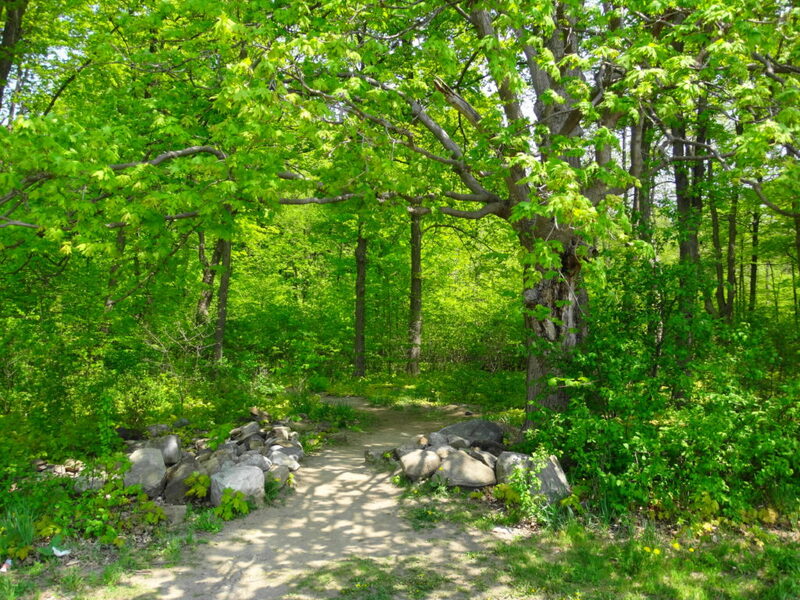 Chapman Mills East, along Cresthaven Drive and Serena Way, is the easiest to love, with its towering maples, huge decaying logs, and dense mat of herbs and wildflowers. 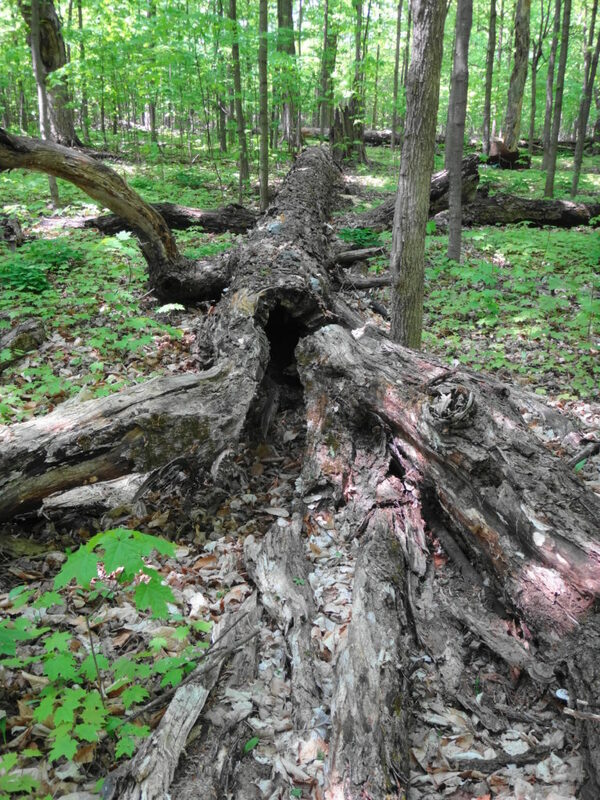 Deep shade gives way to a patch of sunlight, where a snag has finally crumbled to the forest floor. 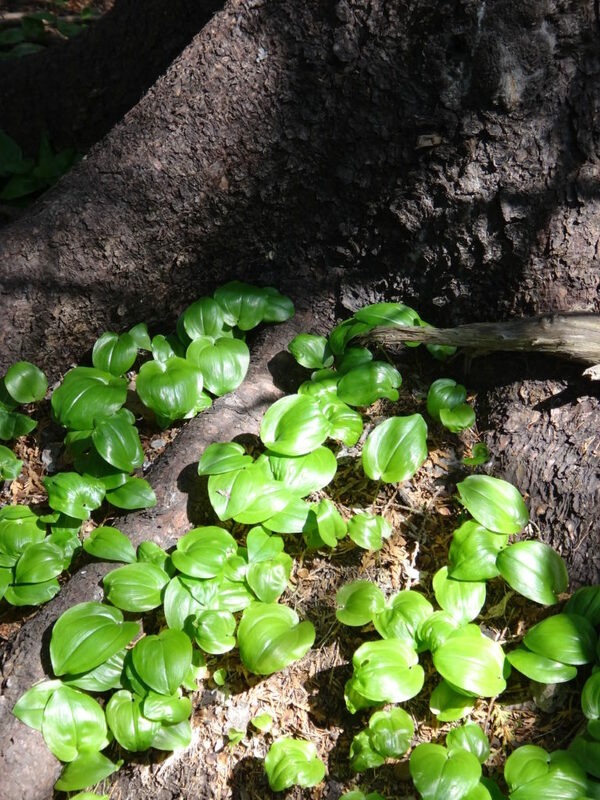 In the sunny gap, new growth reaches to the sky. Bumblebees travel from flower to flower, then circle and drone off to a hollowed, old tree. A pileated woodpecker hammers at a rotten white birch, while squirrels scold the intruder. Old stone walls lie along the perimeter, marking the edges of old farm fields. Chapman Mills West has a different character. Lying astride Clearbrook Drive, it consists of two very different forest types. 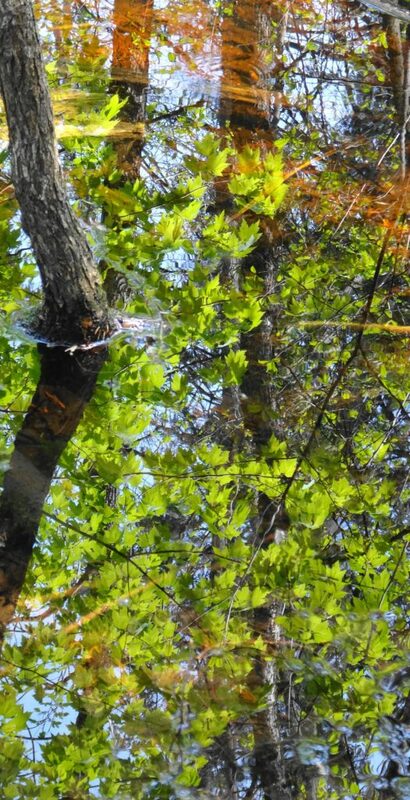 In the southern, larger section, a dry cedar forest surrounds and hides a small, pretty, swamp. Frogs croak along the marshy edges, while pairs of mallards raise chicks in the dense underbrush. 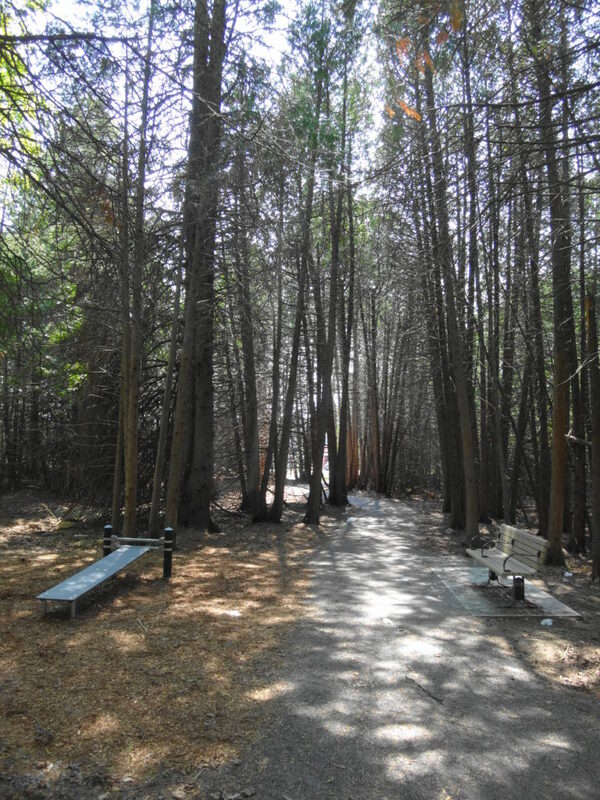 Just inside the south edge of the woodlot, the City’s Park Planners have cleverly threaded a fitness trail from Mancini Park. 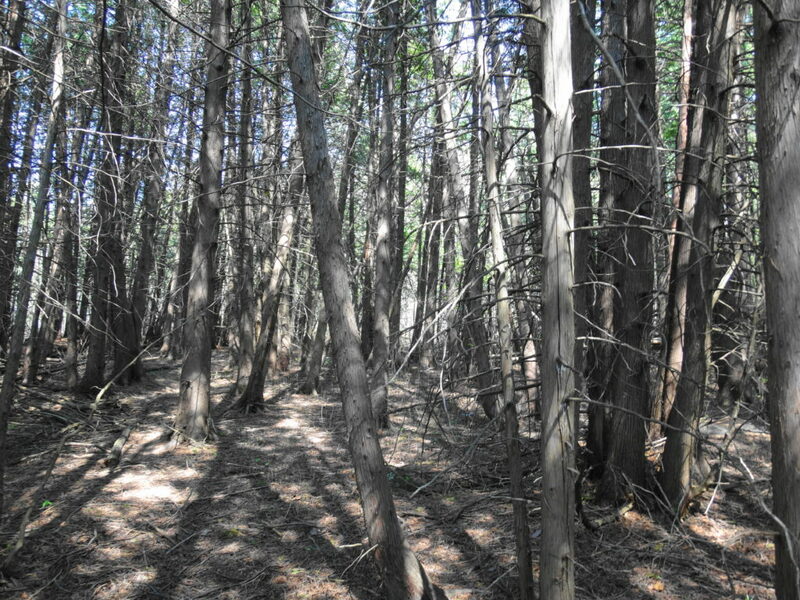 Next door, where the School Board has allowed a small portion of the woodlot to remain in the yard, the worn earth under the cedars attests to affinity of children for trees. The smaller, north portion of Chapman Mills West appears younger, higher and drier. Between scattered patches of cedar, an open forest of light-loving shrubs and trees creates a more pastoral feeling. And, indeed, the woodlot may have provided pasture for cattle or horses before Chapman Mills was transformed from farmland to suburbia. 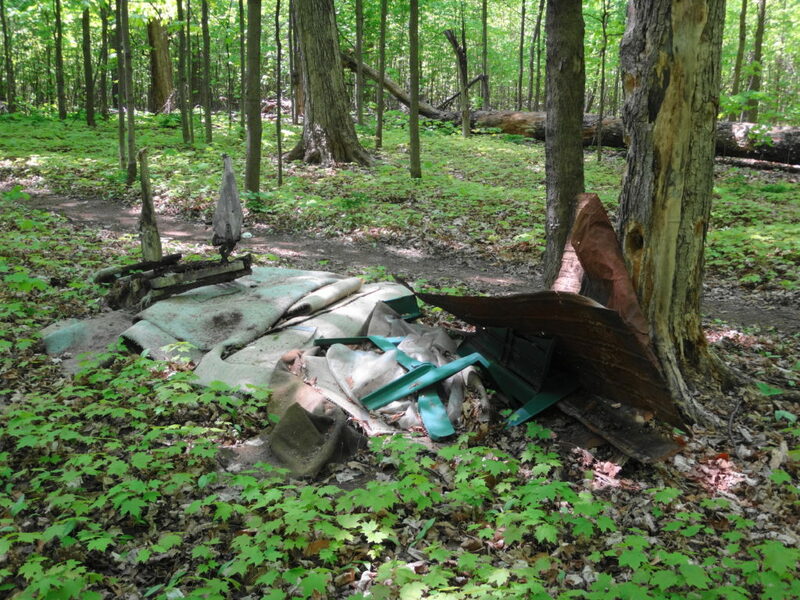 Over time, the forest canopy should fill in, especially now that the Ottawa Stewardship Council, with help from local schools and Ward Councillor Michael Qaqish, have taken an interest in managing and improving the woodlot. Heart’s Desire, on the north bank of the Jock River, appears superficially like Chapman Mills East. Here, though, massive oak trees dominate the forest. 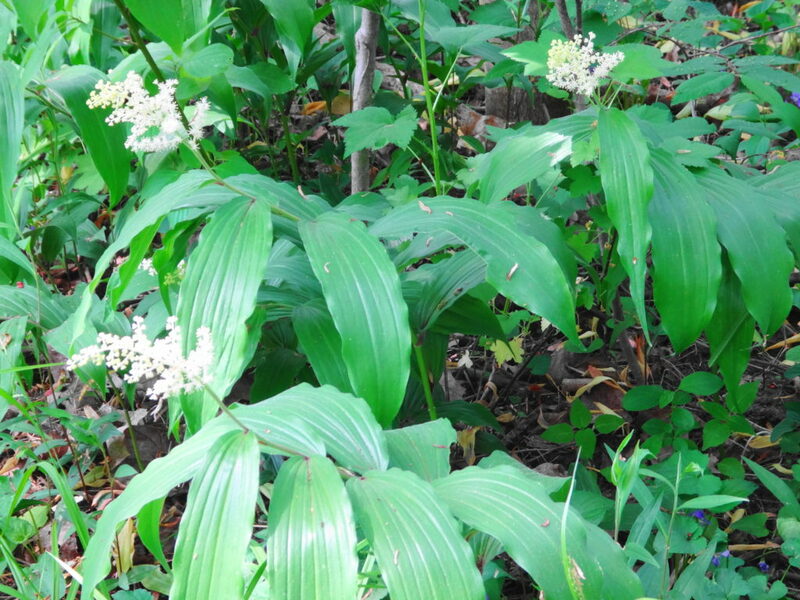 And whereas blue cohosh seemed to blanket the floor of Chapman Mills East, false solomon’s seal carpets Heart’s Desire. 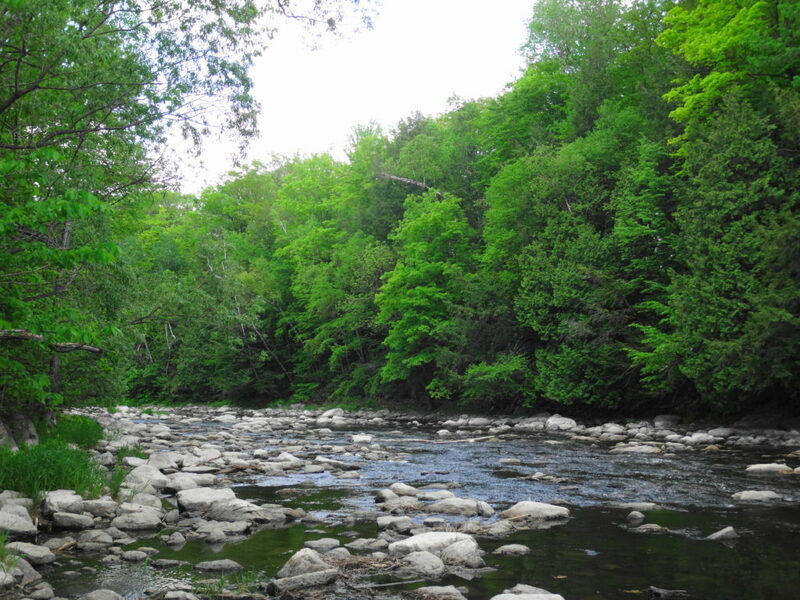 However, Heart’s Desire really gains its charm from the Jock River. Spilling over a small weir and then flowing under Prince of Wales Drive, down to the Rideau River, this reach of the Jock runs along a stoney bed, with alternating riffles and pools that beg for a well-placed fly. 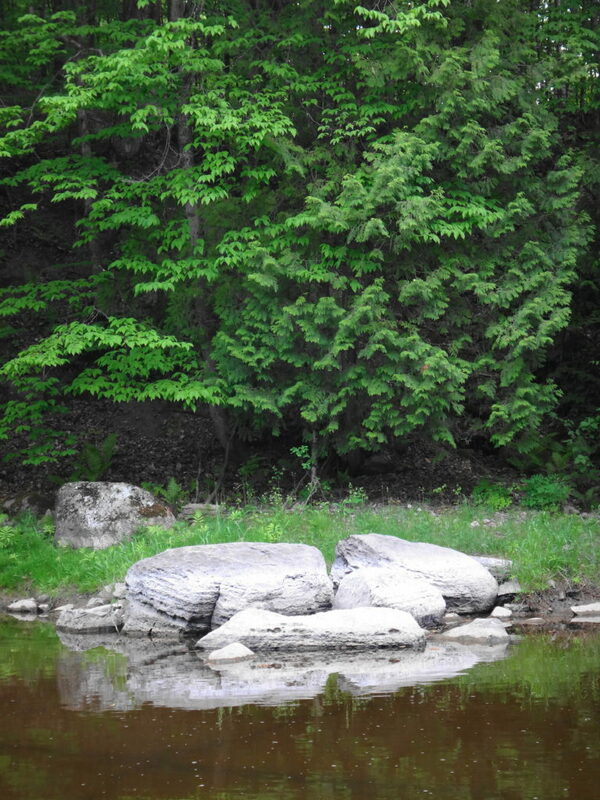 Through the summer months, large boulders provide tempting stepping stones to the other side. The steep, wooded south bank provides an idyllic backdrop and creates a sense of wildness and privacy that belies the surrounding suburbs. 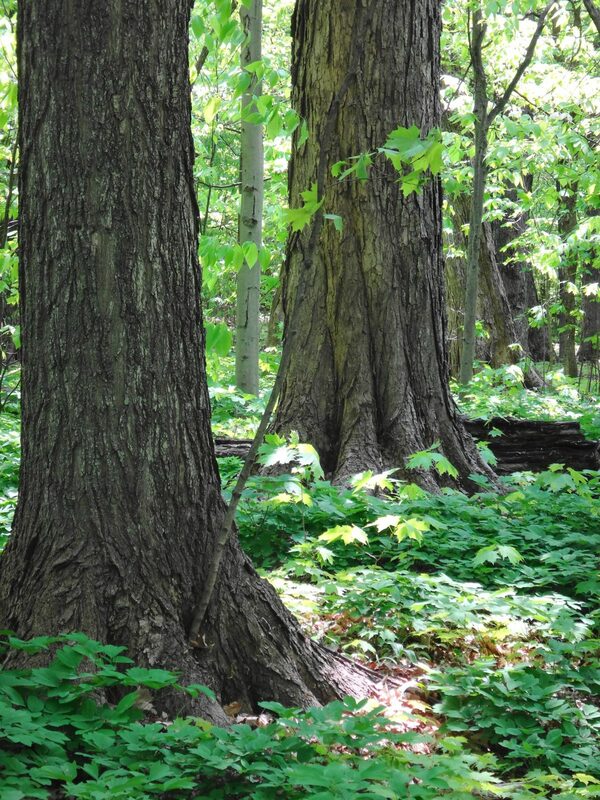 When I visualize South Nepean’s woodlots, I see children. 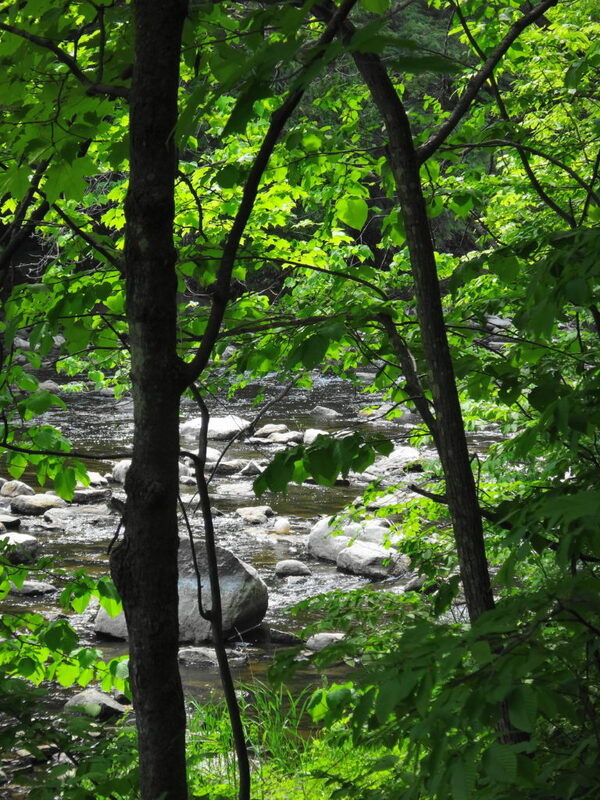 I see them racing bicycles along the paths, searching for frogs, and leaving damp footprints on white riverstones. I hear unrestrained shouts and laughter under the trees. Perhaps in my heart, I still feel myself with them. I certainly feel torn. 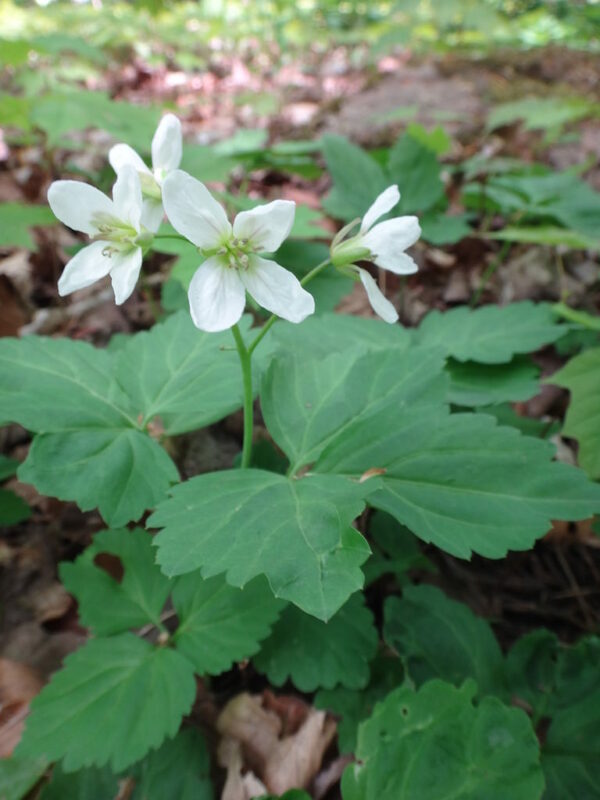 When I look at the damage that already occurs to our woodlots — the trash, the yard waste, the bags of dog faeces — I wonder if the wildflowers and other delicate organisms in the forest floor can also withstand the trampling of young feet. I think of myself as a boy, wriggling through the underbrush in Highrock Park and bouncing my bicycle off tree roots on dirt tracks. Perhaps, along the way, I trampled something rare or special. Perhaps the butterfly in my jar shouldn’t have been there. 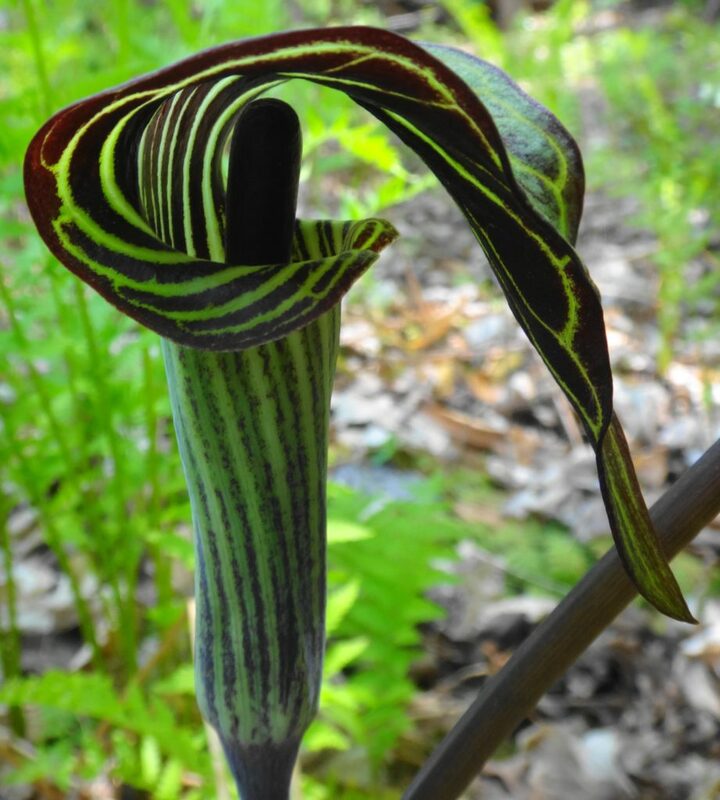 But those experiences, and my other childhood explorations, taught me to love the natural world. They set me on the path to where I am today. Yes, we need to protect our urban natural areas from careless and unnecessary damage. We should educate our children to cherish and respect these marvelous places. We can even try to direct their enthusiasm. But we should never tell them that they can’t ride their bikes or build tree forts, imply that they don’t belong among the trees, or frown on their ebullience. We need more children in our urban forests, not fewer.